Nike Jordan is the shoes (first) and clothing (then) basketball inspired line created in 1985 by Nike in collaboration with the NBA champion Michael Jordan. 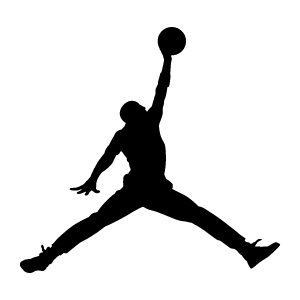 The athletic ability and spectacular aerial game of MJ led him to be nicknamed "Nike Jordan" and "His Airness", hence the name of the line Nike Jordan, with the legendary "Jumpman" logo which portrays MJ in his distinctive style to slam dunk like he was literally flying. The Nike Jordan is still one of the lines, except the line, Nike's most successful in the world. Nike Inc. was founded in 1971 and made his first public appearance in 1972 when Bill Bowerman (University of Oregon coach) and Phil Knight (student of the Faculty of Economics) after having been for several years importers of sports shoes from Japan through their company called Blue Ribbon, which imported shoes of the Japanese brand Onitsuka Tiger (subsequently Asics), they decided that it was time to design and produce their own line of sports shoes. They chose the name "Nike" because in Greek mythology Nike is the goddess of the victory. The company logo, called Swoosh, was designed in 1971 by the graphic design student Carolyn Davidson. In 1972, the first model was launched, the Cortez, that has been continuously produced till today. After a steady growth in 1985 was the mark he made his most important leap forward, thanks to the beginning of the collaboration with the basketball player named Michael Jordan, Chicago Bulls rookie. In 1988 they coined the slogan “Just Do It".